How are you handling the polar vortex? My solution is to fight cold with cold. I’m eating vats of ice cream. I employ a similar strategy when I’m sick: feed a cold, feed a fever. So what if I can’t button my pants come spring? In Santa Cruz last week, I staged an unofficial throwdown between the iconic Marianne’s Ice Cream and the new kid on the block, The Penny Ice Creamery. 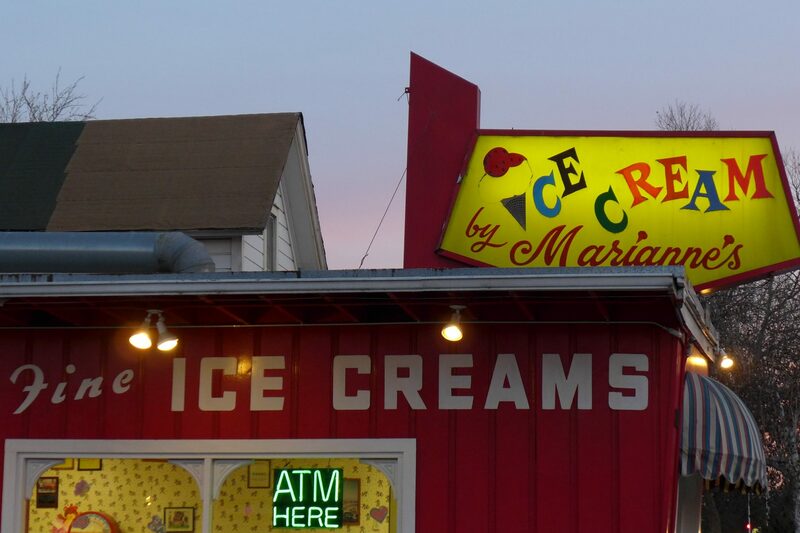 Marianne’s features over 70 traditional flavors of homemade ice cream. The place is tiny, the line’s long, and they only take cash (no worries-there’s an ATM inside). But 50 years of success satisfying the sweet tooth of the residents and the Slugs (the mascot of UC Santa Cruz is the banana slug – no joke) means that something’s working. For me, that something is two scoops – Heath Bar Crunch and Mint Chocolate Chip. Photo used with permission from The Penny Ice Creamery. The new kid on the block – the Penny Ice Creamery – offers a slow dessert experience, featuring flavors described as “modern and whimsical”. The menu is limited; the night I was there, choices included Hibiscus Beet and Black Pepper Quince. I hemmed and hawed, tasted and debated and went down the road I often choose – rocky. Their version showcased homemade marshmallows. You heard me correctly. It was delish. The downtown location is one block off the town’s main drag, Pacific Avenue, making it way too easy to alternate ice cream with fish tacos, particularly for someone with no self-control. I thought there’d be a clear winner between the two, but both were terrific – dense and flavorful, sweet, but not cloyingly so, and I was eating them in California. It’s a draw. 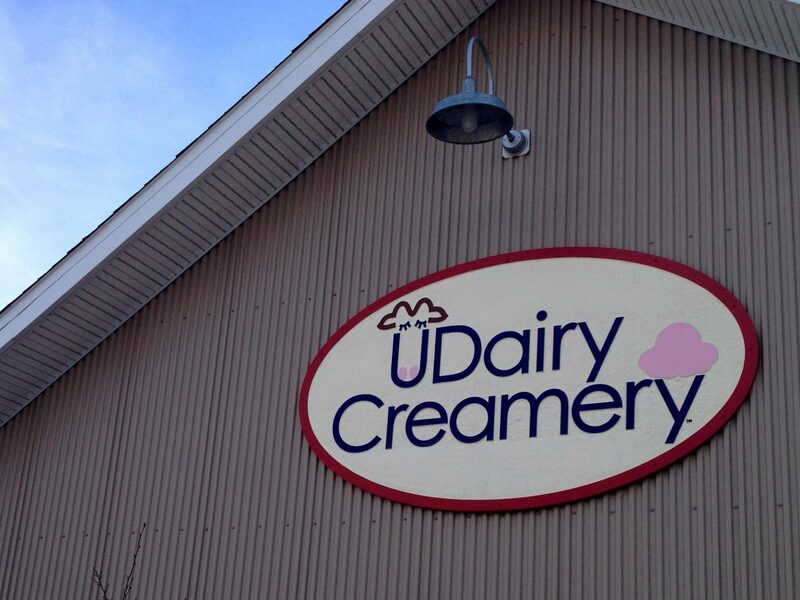 DETOUR: If you are passing by, near, or through Newark, Delaware, you must stop by the UDairy Creamery. Operated by University of Delaware agricultural studies students, it features a cow to cone experience that will make you swoon. I could not believe a monstrous single scoop of Ch-Ch-Ch-Chocolate – cocoa ice cream with chocolate chunks, chocolate sandwich cookies, chocolate crunchies and chocolate fudge swirls – was $2.50. 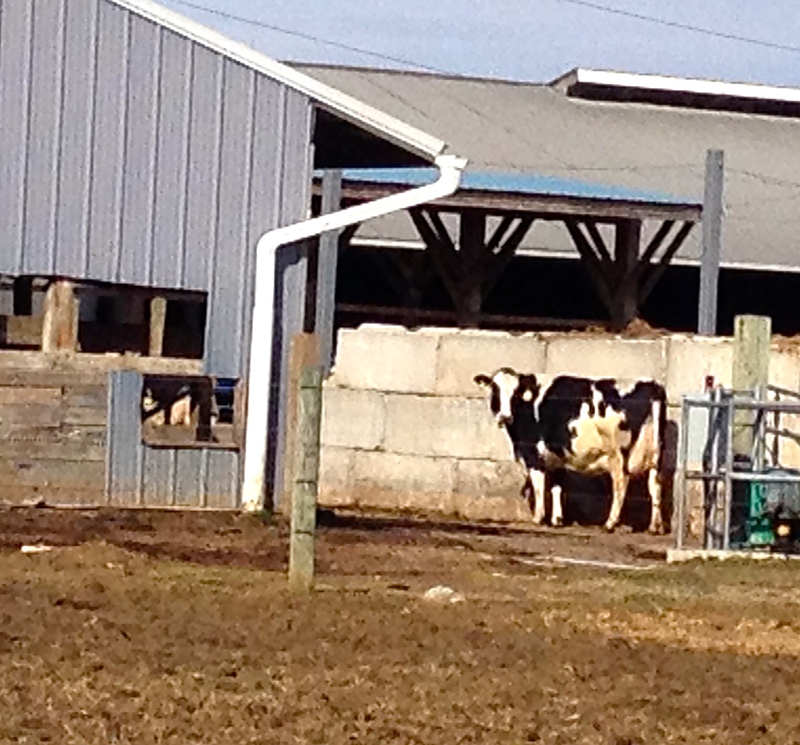 And I got to stop on the way out and thank the cows who contributed to my happiness. I’ve revealed my favorite flavor – what’s yours? And how are you handling the winter blues? Throw it down and I’ll be happy to scoop it up! That coming from a the land of gelato – what, technically, is the difference? You throw it down (place in a cone) and I scoop it up (put said cone in hand) and eat it. What a perfect solution to this unending winter. I prefer to go completely tropical with my ice cream selection and fill a big bowl with my new favorite treat, coconut ice cream. It’s pure heaven. That’s a productive use of the season, for sure. Bet you’re a pro after 13 carves – wow! Well, scarves are by far the easiest project to knit, but it was great to see that pile of Christmas presents once I’d finished them all! I’ve only ever been to Santa Cruz once and coincidentally it was to stop for an icecream! I don’t remember the basic icecream shop being anything like either of these, but I wish it had been. I love icecream and like you, I’d eat it all year round. I have to try Penny next time I’m around UCSC! Thanks for the tip. You’re very welcome. Thanks for visiting.